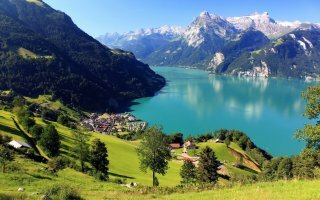 Switzerland has a stable, prosperous and high-tech economy and enjoys great wealth, being ranked as the wealthiest country in the world per capita in multiple rankings. In 2011 it was ranked as the wealthiest country in the world in per capita terms (with "wealth" being defined to include both financial and non-financial assets). Switzerland's most important economic sector is manufacturing. Manufacturing consists largely of the production of specialist chemicals, health and pharmaceutical goods, scientific and precision measuring instruments and musical instruments. Exported services amount to a third of exports. The service sector - especially banking and insurance, tourism, and international organisations - is another important industry for Switzerland. Trade has been the key to prosperity in Switzerland. Switzerland's exports accounts for 50% of its GDP. The top exports of Switzerland are gold, packaged medicaments, human or animal blood, base metal watches, precious metal watches, machines, gems, precious metals, organic chemicals, medical and technical equipment, electronics, plastics, oil, iron or steel. Switzerland's main export partners are Germany, United States, Italy and France, Hong Kong, India. The economy of Switzerland is one of the world's most stable economies. Its policy of long-term monetary security and political stability has made Switzerland a safe haven for investors, creating an economy that is increasingly dependent on a steady tide of foreign investment. Because of the country's small size and high labor specialization, industry and trade are the keys to Switzerland's economic livelihood. Switzerland has achieved one of the highest per capita incomes in the world with low unemployment rates and a balanced budget. The service sector has also come to play a significant economic role. Switzerland imports mostly machinery, chemicals, metals, agricultural products and textiles. Switzerland top imports also include cars, jewelry and refined petroleum. Switzerland's main import partners are European Union countries (Germany, Italy, France, Netherlands, Austria), China and United States. Fitness and healthy life style became a very popular trend in today’s society. From swimming in high school, playing rugby in college, to the relentless focus on fitness, people always try to prioritize health and wellness in order to stay competitive in everything they do. It is important to know that all physical activities require additional medical components to feed muscles and straighten the joints. Sell diet and fitness medical supplies on Export Portal, build your online store and reveal new B2B opportunities. 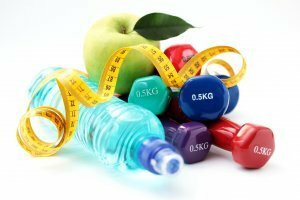 Buy diet and fitness medical supplies on Export Portal and get the best for you and your business. Access the largest 24/7 catalog and order the most qualitative equipment from all the world’s corners. - Cardiorespiratory capacity is the ability of the body to take in oxygen, deliver it to the cells, and use it at the cellular level to create energy for physical work. - Muscular capacity refers to the spectrum of muscular capability. This includes muscular endurance; muscular strength and muscular power. There are different types of natural additives, used duding the fitness training in order to help muscles work without any overload. - Flexibility is the range of movement or amount of motion that a joint is capable of performing. Each joint has a different amount of flexibility. Some of the long-term adaptations of improved flexibility are decreased risk of injury, improved range of motion, improved bodily movements, and improved posture. In order to keep joints flexible, fitness instructors recommend to use medicines with calcium aditives. - Body composition is the proportion of fat-free mass (muscle, bone, blood, organs, and fluids) to fat mass (adipose tissue deposited under the skin and around organs). In order to keep to ideal proportions, people buy different kinds of diet products and diet medicines, prescribed or recommended by nutritionists. Shop for pharmacy supplies on Export Portal, find sellers and manufacturers from all over the world. Trade on our site, expand your business globally! 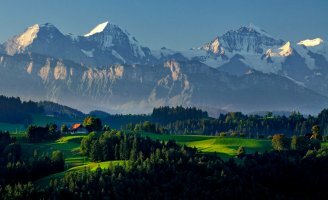 Switzerland is a country situated in Western and Central Europe, bordered by Italy, France, Germany, Austria and Liechtenstein. It is a member of the Euro-Atlantic Partnership Council, European Free Trade Association (EFTA), International Chamber of Commerce, World Trade Organization, Organization for Economic Cooperation and Development (OECD) and other international organizations. The Swiss customs tariff, is based on the internationally valid Harmonized System (HS). The first six digits of the eight digit Swiss tariff headings correspond to the HS. CE marking is not required in Switzerland. Although not part of the EU, Switzerland is a member of the European Free Trade Association (EFTA). To facilitate free trade with the EU, Swiss legislation has adapted to EU law in several areas. You should translate your documentation to one or more of Switzerland’s four main languages; German, French, Italian or Romansch. Being a member of European agency for standards (CEN), Switzerland adopts any new European standards in reconciliation with any conflicting national standards. The harmonised standards may be ordered from the Swiss Association for Standardization (SNV). Quotations should be in Swiss Franc (CHF) or dollars. The most popular payment method by which Swiss importers send payment to their foreign suppliers is by electronic funds transfer. The letter of credit is still used in some industry sectors, but covers a fraction of total imports, largely due to its cost and time requirements and ease in obtaining credit ratings, which increases transparency and transactional safety. This may occasionally be requested by the importer. A minimum of two copies is required. No special requirements. To Order bills are acceptable. Not obligatory but simplifies clearance if a variety of goods are packed in different cases.